The young German sipped a mug of gluhwein and chatted with his American buddy. Standing behind us, he spoke with a thick German accent. “You can go to L.A., New York, you don’t see a Christmas market like this.” There you have it. 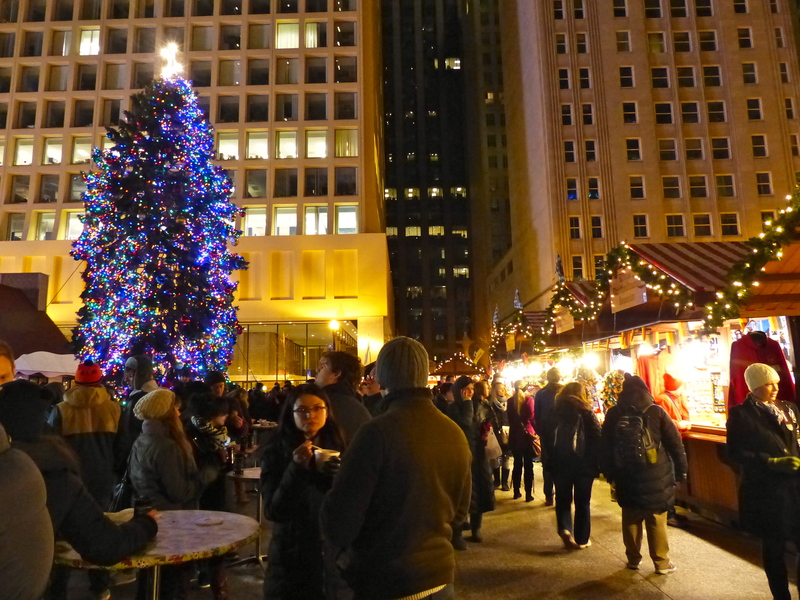 America’s Second City boasts the country’s largest, most authentic German Christkindlmarket. The vendors hail from Germany vending German goods. German was overheard being spoken by many of the visitors milling the aisles with their children. 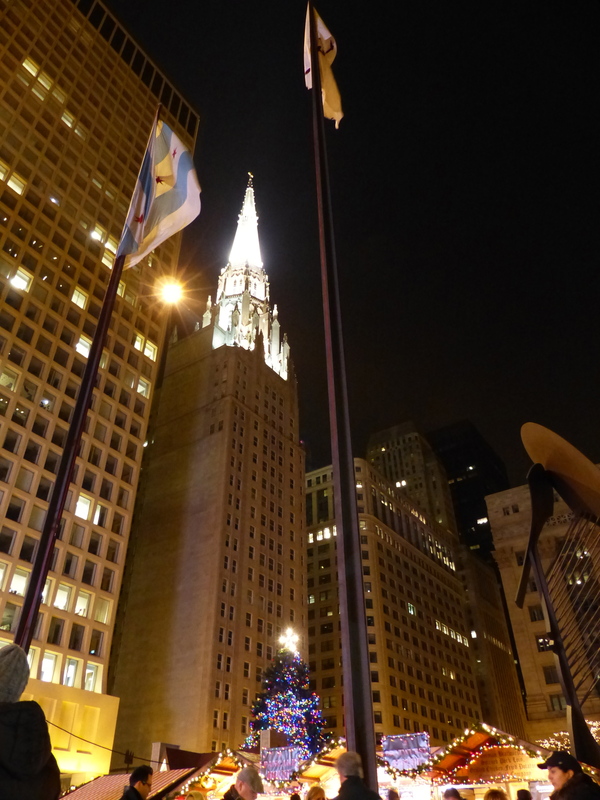 A trip to the market was our top priority during our short visit to Chicago last week. Why all the excitement? We lived in Germany for three and half years. Winters are long and cold. 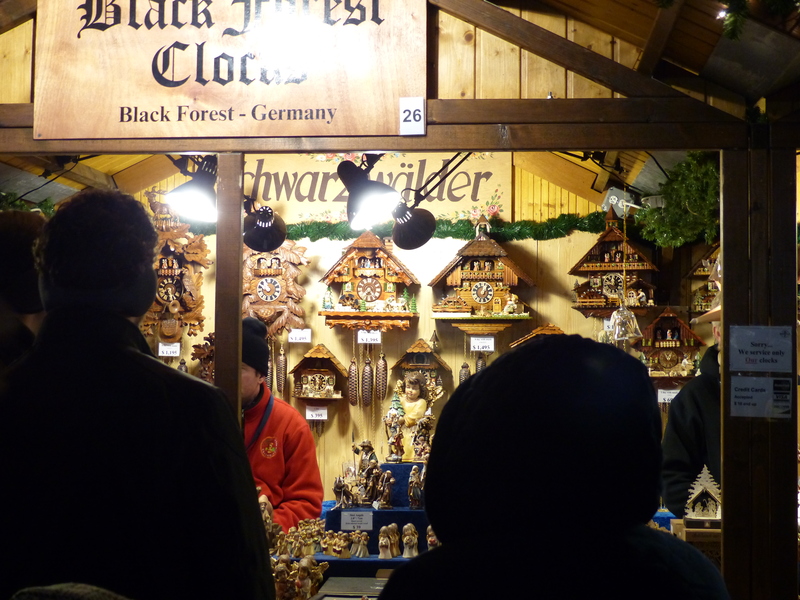 One of the great cultural pleasures of the season was the obligatory Christmas market. Every town had one. In smaller villages, the market took place on one weekend. In larger cities, the market lasts a month and is open daily for your shopping and dining pleasure. Local artisans display handmade traditional goods and hearty food and beverage abound. Professionals in suits meet up after a day in the office to sip mulled cider or beer under the stars – man-made and God-made. Tourists flock to the Käthe Wolfhart Christmas cabin. Friends rendezvous for grilled sausage with brötchen. Tasteful decorations and lights adorn the vendor booths. In the season of early dark, the market is always a bright highlight. Visiting our local market in Stuttgart, arguably the best in Germany, or another market in a surrounding village, was always exciting. We didn’t go for the shopping experience, but for the ambience and chance to meet with friends. It’s what Germans do. It’s what we did. And, looking back, we have very fond memories of those times. A guest on Rick Steve’s travel show once said “all of our experiences in life depend on context. 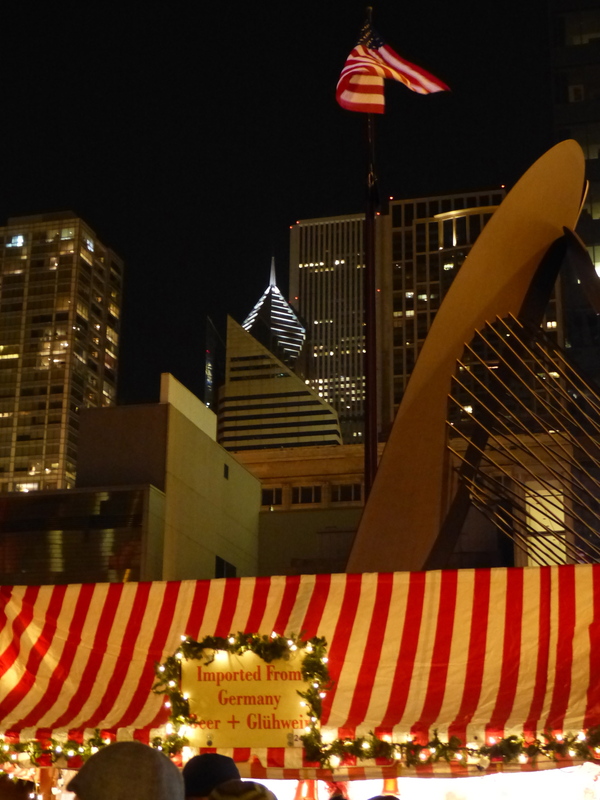 That’s what gives us our pleasures.” A authentic German Christmas market in the U.S. gives us great pleasure because we have a context – memories – with which to frame it. Maybe you don’t have that context, in which case it’s high time to start creating it. Grab some friends and head to a German Christmas market near you. With friends and family and a growing number of memories, each year the experience will become a more and more pleasurable holiday tradition. Information on the Chicago market can be found on their official website. The German Government mission in the United States also provides a list on their website of markets that take place throughout the country. Last year I wrote a post on German Christmas markets that has some great photos from Daniel Netkin-Collins and some links with information on markets around the world.